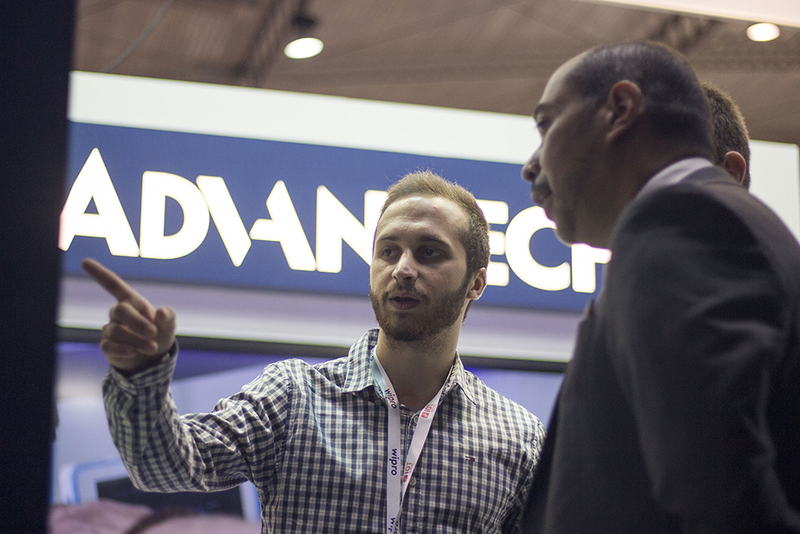 In the spaces of ACCIÓ and Advantech, the visitors were able to experiment the real-time monitoring, control, and management solutions. Geprom held a conference in the Manufacturing Area under the title “Case study: Efficiency Improvement at Seat”. 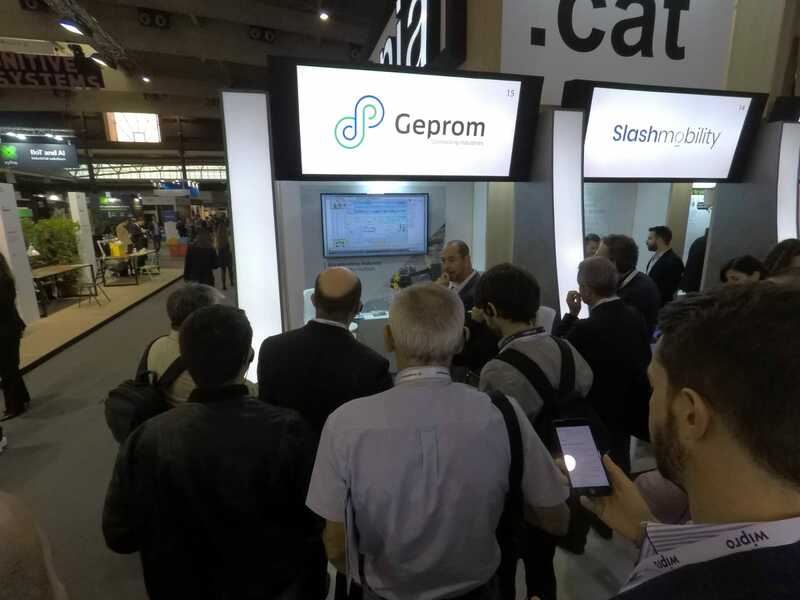 Geprom presented last week their solutions in the IoT Solutions World Congress, event that has become an international benchmark in this field. Dario Cesena, CEO at Geprom, presented a session “Efficiency Improvement at Seat”. 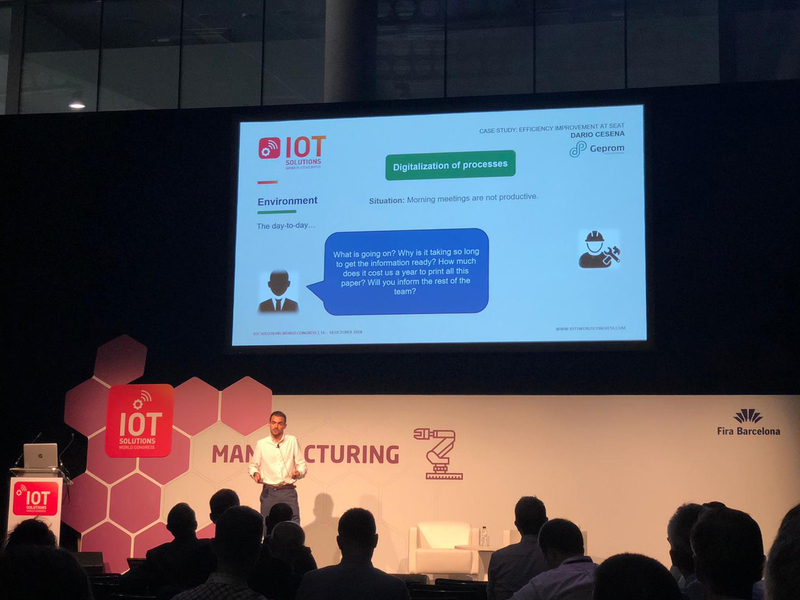 The conference, which had a call of 70% of attendees, reflected upon the main technological solutions and success cases of Geprom regarding the Smart Factory, highlighting the case of the digitalisation of the SEAT Martorell and SEAT Barcelona factories, through the production control and management platform Legato Sapient. 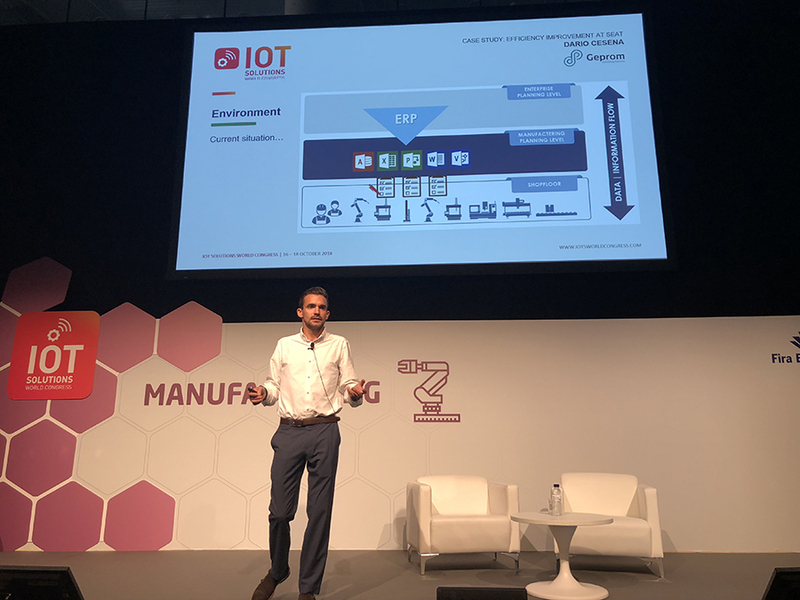 “SEAT is a benchmark company in terms of industry 4.0, since it has not only identified digitalization as a great opportunity and a transformation in which all departments participate, but has brought it to reality in its day-to-day production processes, using the most disruptive technologies and carrying out specific training plans“, commented Dario Cesena. 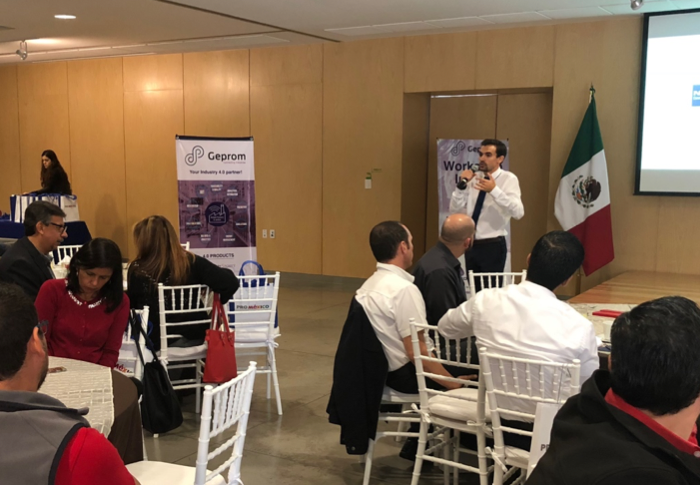 One of the most interesting thoughts that arose was the importance of factory automation and the fact that they need to be ready for the application of digital technologies. 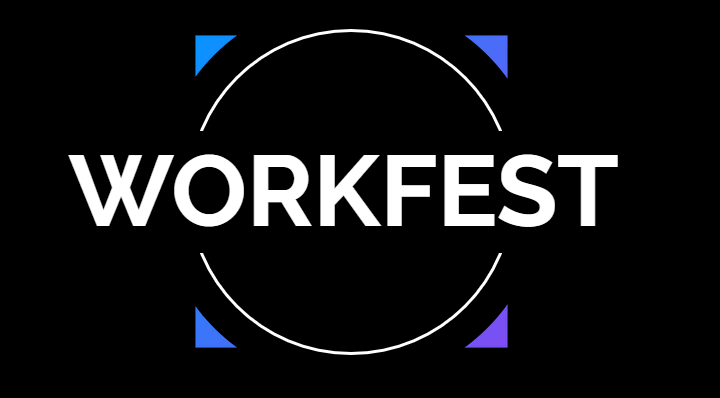 Only when we have an automated factory will we be able to capture and treat the thousands of data that our workshops, machines, clients, and providers generate. “Getting to know the benefits of the Industry 4.0, seeing digitalisation as an opportunity instead of a threat, and having the client in mind through every step of the process are some of the keys to achieve a better flexibility, efficiency, and quality in production”, highlighted the speaker. 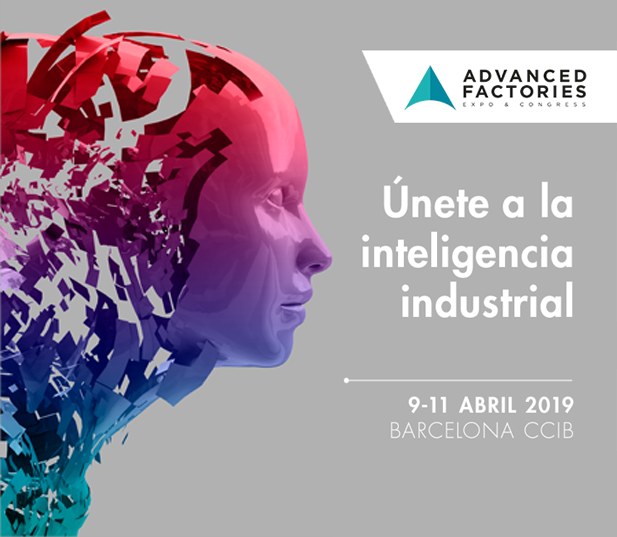 Geprom was in a stand in collaboration with ACCIÓ, exhibiting our commitment to digitalisation of the factory and IoT. The hundreds of visitors who went through the stand were able to know, in an easy and interactive way, the solutions and products that Geprom offers to face the challenges that the fourth industrial revolution poses, like the MES system Legato Sapient, from which a demo as shown, or other innovative products like Digital Shopfloor Manager, Finito ShiftBook and QDA Software. The stand was also a stop in the VIP tour organised by the Mobile World Capital, where Geprom presented a simulation of logistic traffic with the goal of virtually reproducing the processes and studying their behaviour, to analyse the impact of possible changes and compare alternatives at a lower cost. On the last day of the congress, Geprom had de opportunity to participate in the Elevator Pitch, an initiative from the Generalitat de Catalunya where the 20 companies with the most innovate solutions had 2 minutes each to present their business to potential clients and partners. Geprom was also presenting, together with the company Advantech, a demo of the monitoring system Legato Sapient, the flexible, scalable, and modular MES system for real-time production control. Legato plans, controls, and supervises all the information about the productive process, processes and stores the collected data in real time, and creates personalised reports for analysis and decision-making. 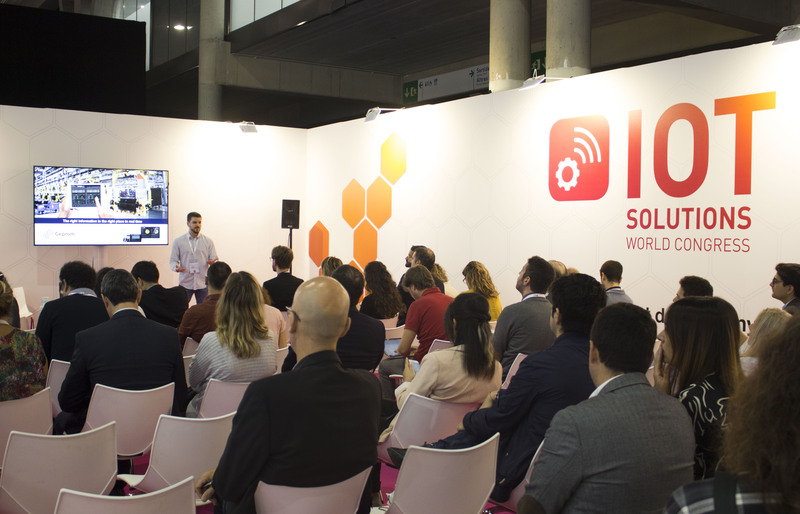 The IOTSWC (Internet of Things Solutions World Congress), which took place in the Fira de Barcelona from October 16th to 18th, counted with the presence of more than 16.000 visitors and more than 340 exhibitors, of over 100 countries, which meant respective rises of 42% and 25% compared to last year. In its more than 32.000 m2 of space, the event offered over 400 top level speakers, and stablished the Internet of Things as a key technology in the digital transformation.